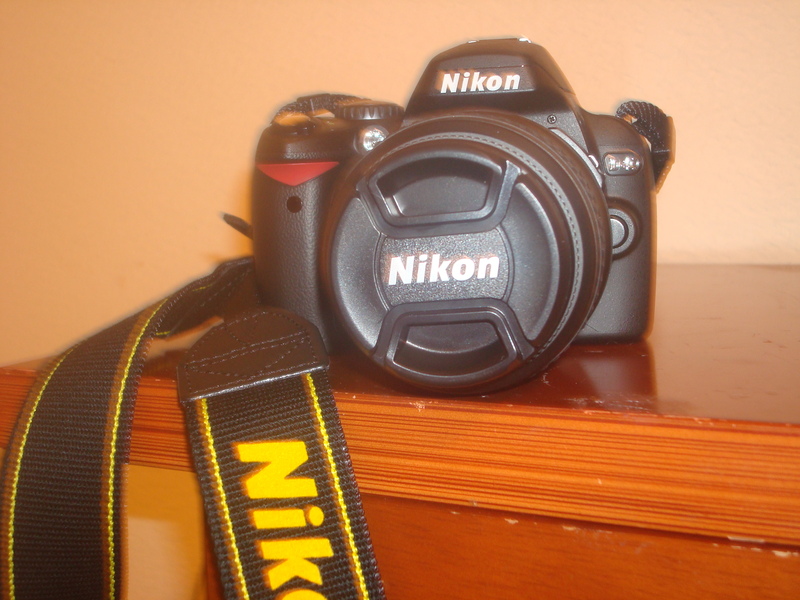 Take a look at my new baby! Isn’t she a beauty! My honey went out and got me a late birthday/early anniversary/early Christmas/whatever else gift!!! I don’t care what it’s for, but I’m so excited! In the midst of all that’s going on, he wanted to give me something that he knew I wanted. He’s so good to me! I love you, Lovebug! Now if only I can just figure out how to work the dang on thing!!!! Well, Seon and I have made a drastic decision in an effort to save money. We have decided to temporary move to the Can with my mom in order to save money for the down payment on our house and to put some money in our savings account. We know this is a big step, but in order to get where we want to be financially, we are will to make this sacrifice for a few months. Our plan is to be there unti l June or July. My mom was fine with it and actually sounded kind of excited. Everyone seems to be glad that we are coming. Even Meme was understanding about our decision once we laid our plan out to her. Of course she hates to see Kyndal go, but we decided that he will continue to come to her on her usual babysitting days and that he will also continue daycare. All of the hard work that went into getting him used to school would all be in vain if we pulled him out. He really enjoys school now. That is, once he’s there. Now of course, there has to be some snags to every well thought out plan. Seon’s mom isn’t too happy with our decision. But we had to come to terms with the fact that this isn’t about his mother. It’s about bettering our family. We’re the ones making the sacrifice, so we aren’t going to worry about how others feel about it. We love her all the same, but this is what we have to do for us and our boys. So this weekend is our last weekend in Funkytown for 8-9 months. By the time we return, our *$&% will be in order. I just hope this time will go by pretty quickly. Corsicana isn’t high on my list of places to live. But I keep chanting my mantra to myself: “It’s for the good of our family. It’s only temporary. It will be over before I know it.” Now I just have to make myself believe that! Ho, ho, ho! It’s off to The Can we go. I’ve never been great at frying chicken. But my family loves it. When I came across this recipe, I had to try it because I’ve always wanted to be able to fry up some crispy, flaky chicken. This recipe didn’t disappoint. 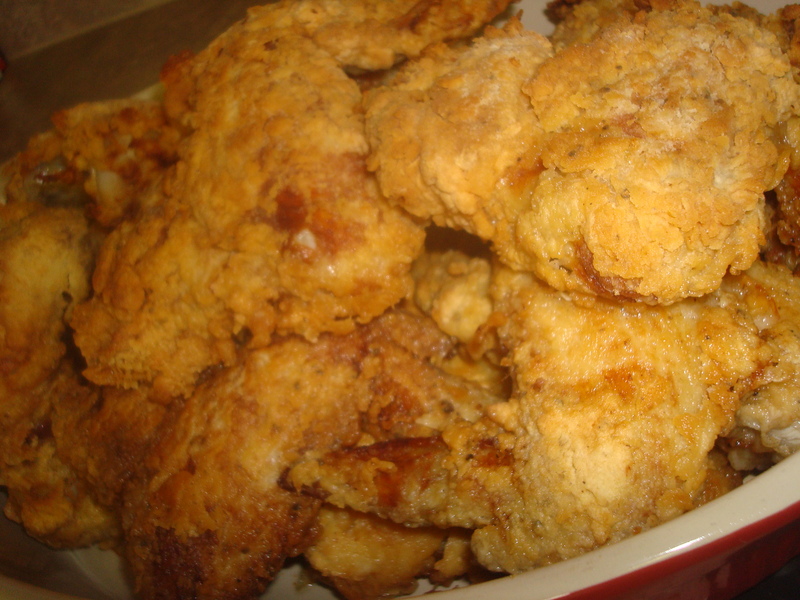 The result was juicy fried chicken with a tasty batter. The only thing that I’d change next time is upping the salt. I’ve never been a heavy seasoner, but from what I understand, fried chicken needs to be heavily seasoned. I thought I was doing that, but guess not as much as I thought. So I will try to be a little more heavy handed next time. Here is the recipe. Try it and enjoy! 1. Place chicken pieces in a shallow dish and cover with butter milk. If using breasts, place the skin side down. Cover the dish with plastic wrap and marinate in the frig for at least 6 hours or overnight if possible. 2. Preheat the oven to 375 degrees. 3. Remove the chicken from the buttermilk nd season generously with salt and pepper on both sides. 5. Roll (or shake if using a bag) the chicken pieces in flour to coat them first. Then dip them into the eggs. Then coat them in flour again. 6. Pour vegetable oil into a large skillet, enough so that it’s about 2 in. deep. Heat the oil until it starts to sizzle. 7. Fry the chicken on both sides about 2-3 minutes, until golden brown. I’ll take that drink watered down anytime! are healthier “can kiss my grits” as Flo from one of my all time classic shows, Alice, would say. Kyndal was the only one of my boys that I breastfed and he stays sicker than the other two. Bryson has never been sick, well outside of his bout with tonsilitis last year when he practically drove me nuts. And yes, Dominic has had his rounds with asthma, but it has always been easy to get under control. But Kyndal! That is another story. He’s constantly got a stuffy/runny nose or some kind of cough. Allergies. The recurring boils that just seem to pop up out of nowhere on his body. Then there’s the not one, not two, not three, but four ear infections – one of which was a double ear infection that resulted in a ruptured eardrum. And don’t let me fail to mention his constant bouts with asthma. Add to this the time he was intibated due to a misdiagnosis of epitiglitis, which turned out to be bronchitis. This kid is always making us take those exciting trips to the ER and doctor’s office. If it wasn’t for our crappy but trusty ole’ health insurance, we’d been in the poor house for real. What? Was there something wrong with my milk? Was it tainted? What is wrong with my breastfed baby?